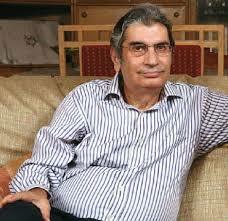 Very sad to hear about the passing away of Indian journalist Vinod Mehta. He was the founder editor of Outlook, a weekly magazine. 73 year Mehta apparently passed away from multiple organ failure according to The Hindu. Mehta had a long stint as a journalist working with various publications including India Post and Pioneer. He is also the author of a book on the Indian film actress Meena Kumari. “Lucknow Boy,” was his candid autobiography that traced his childhood in Lucknow to studying in Britain and his career as a journalist. His humorous anecdotes in Outlook’s Delhi Diary was a chatty column, where he shared little personal details and spoke endlessly about his pet dog called Editor. And in his last Delhi Diary entry he wrote about Editor’s health. And ironically the last sentence in that column was titled Last week in Lucknow “I ate Tunda’s galouti kebabs. Nothing more needs to be said.” Sadly, nothing more will be said by Mehta. We will miss reading his columns. Last year his new book “Editor Unplugged” was published. Mehta spoke about his new book, Indian politics and cricket in this interview with Scroll.in. Here is an interview Mehta did with Newslaundry. And an article from Sans Serif on Vinod Mehta, the last great editor. In the late 1990s I wrote for Outlook from Silicon Valley. I remember how thrilled I was when I heard that Mehta liked “Our Pind in Yuba City,” an article I wrote about the Punjabi-Americans in Yuba City. That feedback made my day. UPDATE: Ajaz Ashraf’s touching tribute to Vinod Mehta.